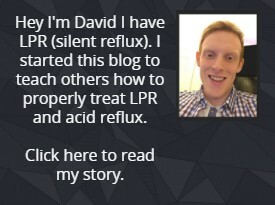 When someone has seemingly tried everything and wants to move onto the next step to fix their LPR or reflux the stretta procedure is definitely one that comes to mind. It is a preferred option not only because of its effectiveness in treating LPR/GERD( Laryngopharyngeal Reflux/Gastroesophageal Reflux Disease) but also because it isn’t invasive like most other surgeries out there. In fact, there is no cutting needed at all for the procedure unlike other options. The whole point of the procedure is to target the muscle area above the stomach right where the lower esophageal sphincter (LES) is positioned. The LES is the sphincter that is above the stomach and is designed to keep acid/food inside the stomach. The problem is a LES on a patient with LPR or GERD is likely to not be functioning correctly. This is often caused by things like overeating. A person who regularly overeats and overloads the stomach will put more pressure on the LES muscle. This process will make the LES weaker and will cause it to degrade over time. It’s a slow process that can develop over months/years of overeating. You can read more about that process here. It’s also worth mentioning certain foods can affect its effectiveness. The whole point of Stretta is to stimulate that muscle to strengthen and to get it working as it should be. The process should make the muscle stronger and thicker which should directly help with preventing reflux and LPR symptoms. This not only will create more stomach pressure which will help prevent against reflux but also should get the LES working as it was intended. So, you sort of get a two in one effect. Stretta procedure uses special needles that send a radiofrequency into the sphincter muscle (LES). This radiofrequency is designed to stimulate the muscles which will strengthen as I mentioned before. The device only uses 5 watts of power which is about the same as a light bulb so it’s very low energy and safe to use. Someone who should be considering doing Stretta should be someone with LPR or GERD. It should be someone who has tried the recommended treatment advice such as medications and diet. Check out my advice in my full LPR guide here for treatment advice for LPR specifically. Once someone has exhausted these options and still has no improvement then considering Stretta should be a good idea. Before doing Stretta it may be a good idea to confirm you have LPR/GERD if you haven’t already – the best way to confirm this is a test called Restech. This test measures the acidity level in your esophagus to see if it’s normal and if it’s more acidic than it should be then that is a good way to know for sure that it is reflux related. If you have already been diagnosed with GERD or LPR already and you meet the criteria I mentioned above, then Stretta could be a great choice for you. The great thing about Stretta is that it is only minimally invasive and has been shown to be an effective treatment where patients have shown improved symptoms after completion. You can check out one of the studies here. As far the stretta success rate results have shown that 64% of patients shown a reduction in PPI intake and 41% eliminated them entirely. As this study was primarily for GERD patient PPI’s as a treatment choice was effective though for LPR sufferers will not help, you can read more about that in my LPR guide. Secondly the stretta procedure side effects didn’t exist with no patients showing any adverse effects in the first 10 years after treatment. If you are looking for an LPR surgery or a surgery for GERD this stretta procedure is definitely worth considering.